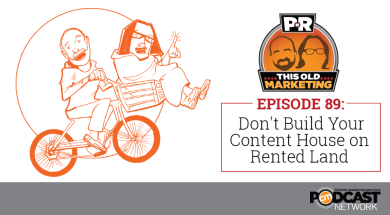 In this week’s episode, Robert and I discuss two recent developments that clearly illustrate why you should not build your content house on rented land: LinkedIn has placed limits on your ability to download contact information about your connections, and Google Plus as a social network is no more. Next, we dissect a new report from AOL that claims to be focused on content marketing, but really isn’t. In a strange parallel, Moz publishes a report that says it’s focused on inbound marketing – but its real impact is much broader than that. Rants and raves include an excellent McKinsey report that explains how digital marketing operations can transform business and a pair of TV media talent moves that ought to get marketers thinking about similar opportunities. We wrap up the show with a #ThisOldMarketing example of the week from Flight Centre. LinkedIn quietly removes option to export contacts (3:57): During the last week, LinkedIn removed the option to export your contacts. Instead, the company asked users to request an archive of their data, but that process took up to 72 hours to complete. After that move caused an avalanche of user complaints, LinkedIn relented and reinstated the feature. Robert and I believe this is LinkedIn’s first step toward transforming user data into a premium service. 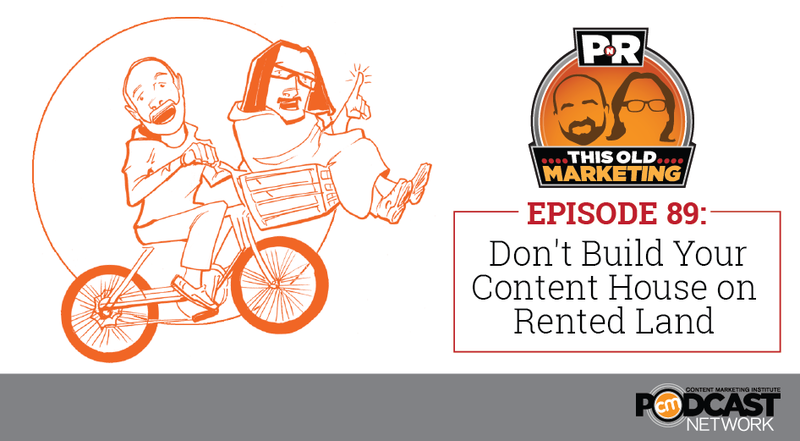 Marketers need to remember that the providers of social media networks can make any changes they want to their platforms – in other words, don’t build on rented land. This article is paired with the next one about Google+. Google Plus is no more (9:25): Google has finally announced that your Google+ profile will no longer be your identity in all Google products. This change will be rolled out over the next several months; the first product to be affected will be YouTube. Google says Google+ isn’t going away, but will be retooled to provide a place where people can engage around their shared interests. Despite Google’s spin on this announcement, it’s clear that, as a social network, Google+ is dead. Robert and I agree that the old strategy of “go where your audience is and build a presence there” no longer applies. Instead, use those channels to pull people to your owned properties. AOL CMO says content marketing is about value, not advertising (17:54): In an interview with Marketing Land, AOL’s new Chief Marketing Officer, Allie Kline, mentions a new white paper it has published entitled The Alchemy of Connection. It teaches a data-driven approach to creating, integrating, and measuring effective content programs. Robert and I agree that it’s interesting, but it doesn’t reveal anything new about the ways in which content can enhance customer awareness and preference. Also, it focuses on campaign-based examples, which aren’t really content marketing. The inbound marketing economy – content marketing jobs abound (24:25): When it comes to job availability and security, the future looks bright for inbound marketers. So says a comprehensive new research study conducted by Moz and Fractl. Data compiled from a number of sources, including LinkedIn job listings, shows that employers are looking for hybrid marketers who are knowledgeable in a variety of marketing disciplines and have a solid feel for corporate strategy. Robert and I were both confused by Moz’s decision to title this article “The Inbound Marketing Economy,” because it really doesn’t devote much attention to inbound. E.W. Scripps acquires podcast network (32:19): Midroll Media, which operates an advertising network for podcasts including WTF with Marc Maron and Nerdist, has been acquired for an undisclosed price by E.W. Scripps Co. Scripps will help Midroll find access to wider distribution and a new set of advertisers who haven’t traditionally spent money in the podcasting space. I predict this is the first of many transactions where podcast publishers will be acquired. It adds legitimacy to audio entertainment as a sponsorship opportunity for brands. This Old Marketing is sponsored by Emma, email marketing for the modern brand. Emma is a provider of best-in-class software and services that help organizations of all sizes get more from their email marketing. In Emma’s new Modern Marketer’s Field Guide, you’ll learn how to identify (and use) the right marketing tools to craft emails that truly stand out in the inbox and create a personal experience for every subscriber. 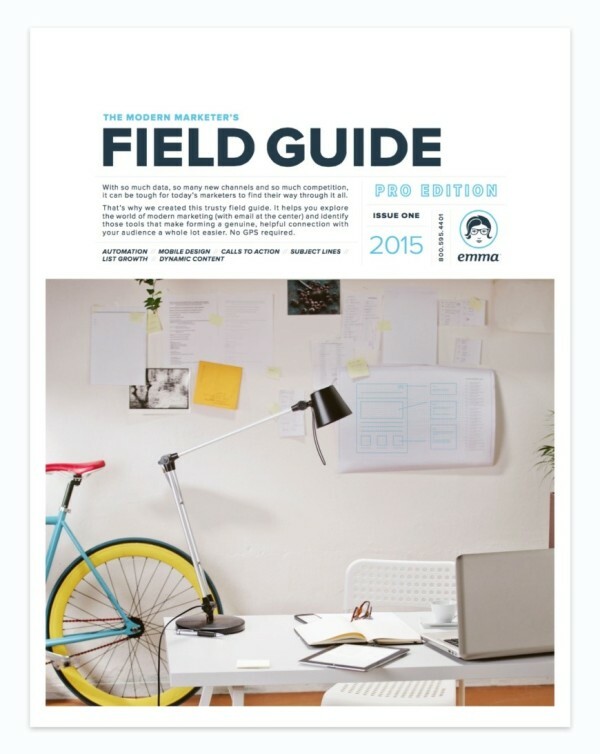 Download the guide now at http://bit.ly/myemma-field-guide. Robert’s rave: Robert is keen on this article from McKinsey that explains how digital marketing operations can transform business. As consumers become increasingly empowered and sophisticated in the way they make purchasing decisions, it’s never been more important to use data to map customers’ DNA, understand exactly what they want, and then take those insights to develop and deliver a superior (and flawless) customer experience. Robert says this is an excellent article for people who are trying to figure out where to start to change a deeply-ingrained corporate culture to support a broader role for marketing. Joe’s rave: I’m loving two articles this week. The first, from Variety, explains that Univision has signed a number of Hispanic YouTubers to create content for its first digital multichannel network. The second article announces that Bill Simmons from Grantland and ESPN fame has joined HBO, where he will host a weekly talk show that will span sports and popular culture. I’ve selected them to remind brands that there are huge opportunities for hiring creative storytellers or buying existing channels to help them create engaging content. Media companies are aggressively embracing this approach, but so far very few brands have done so. Flight Centre: Flight Centre is a travel service agency in Australia. It owns multiple brands that focus on a variety of travel needs, including family vacations and cruises. 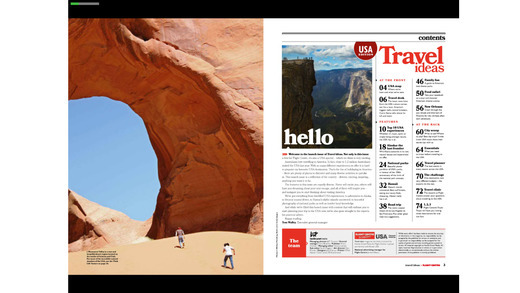 Two years ago, it started publishing Travel Ideas, a print magazine that does an awesome job of highlighting destinations its customers would love to visit. Its content consistently positions Flight Centre as a travel concierge, someone who can help you plan your adventures and take a lot of the worry out of travel. Over 75,000 copies of Travel Ideas are distributed to Flight Centre’s offices throughout Australia; it is also used as a targeted mailing piece to key customer groups. Flight Centre’s next steps for the magazine are to develop metrics to measure its effectiveness and to transform it into a subscription-based platform. Flight Centre is completely committed to Travel Ideas; it even recruited an experienced travel journalist to serve as its editor.